Happy St. Patrick’s Day! Last year we shared our guide to making corned beef at home. This year we wanted to do something a little different. This year, we have come up with a fun and geeky recipe to get into the St. Patty’s Day spirit! 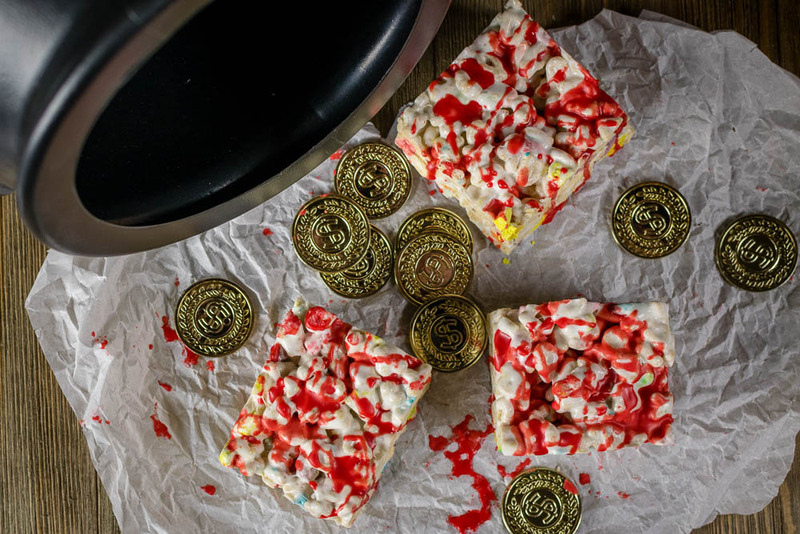 We’re excited to share our recipe for O’Grady’s Lucky Treats inspired by the horror film Leprechaun! We’ve always wanted to do a recipe inspired by Leprechaun but didn’t want to just do traditional Irish fare. 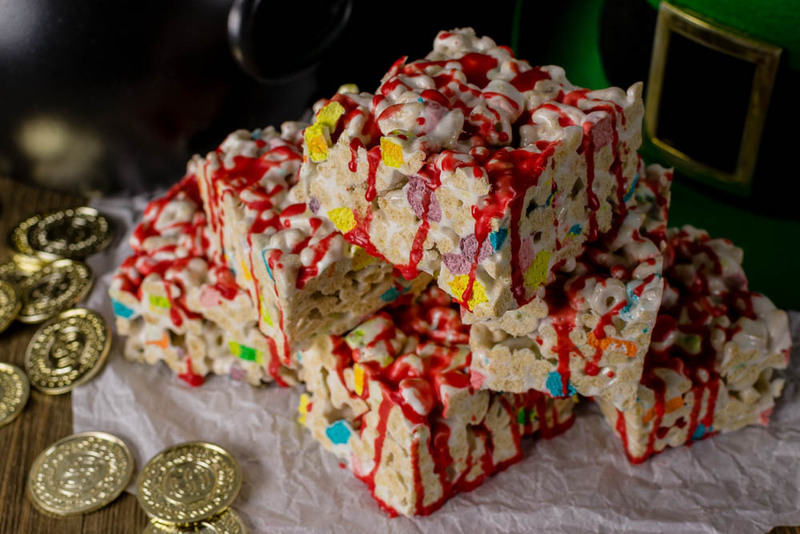 We saw other recipes on sites like Pinterest for marshmallow and cereal treats that used Lucky Charms. However, we wanted to do more and create a themed and geeky recipe from that inspiration. We added some traditional confectioners sugar icing dyed red and that did it! O’Grady’s Lucky Treats were born! These treats are so easy to make and are sure to be a surprise hit at your St. Patty’s Day shindig! We hope you have a wonderful St. Patrick’s Day and try out our new recipe! What horror movies would you like to see recipes for? Let us know in the comments below or tag us using the hashtag #GeekEats! Also, be sure to follow us on Instagram! Once we hit 10k followers we are going to be giving aways tons of prizes and we have a few surprises in store! You won’t want to miss it! Using buttered spatula or wax paper evenly press mixture into 13 x 9 pan coated with cooking spray. In a small bowl, stir the vanilla extract into the sugar. Slowly add water a few drops at a time. Continue to add water until icing coats the spoon. Add drops of food coloring until desired shade of red is reached. Drizzle icing over cooled Lucky Treats. Refrigerate 10 minutes to set.